The 5th Annual AARP Livable Communities Conference, held November 14-16, 2017, in Dallas, was an opportunity for local leaders and community advocates from across the U.S. to come together to share ideas, best practices and solutions for making towns, cities and communities more livable for people of all ages. What is a livable community? Picture healthy, walkable, vibrant neighborhoods and downtowns; cities in which older adults are active and engaged; and communities where health concerns are addressed in a holistic way. This is what we’re working toward in Austin with the implementation of the Age-friendly Austin Action Plan. 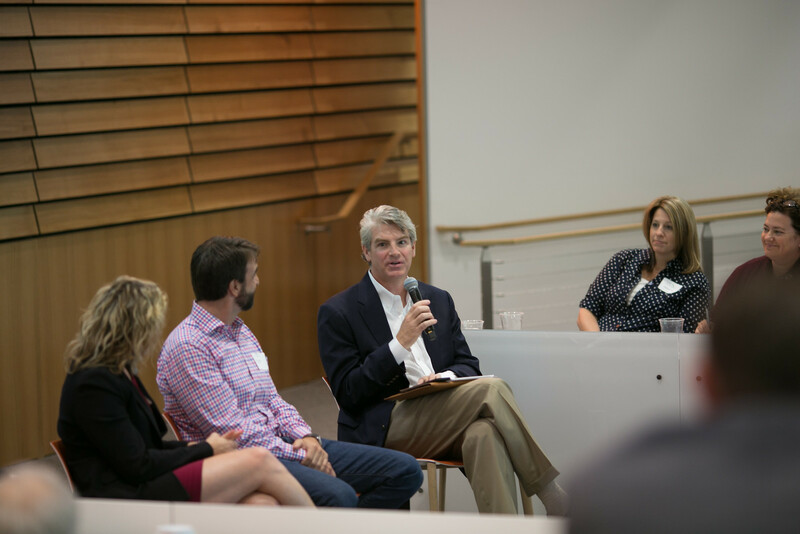 Representatives from the City of Austin Commission on Seniors, Capital City Village, AustinUP and other local thought leaders attended the event – and we learned a lot. 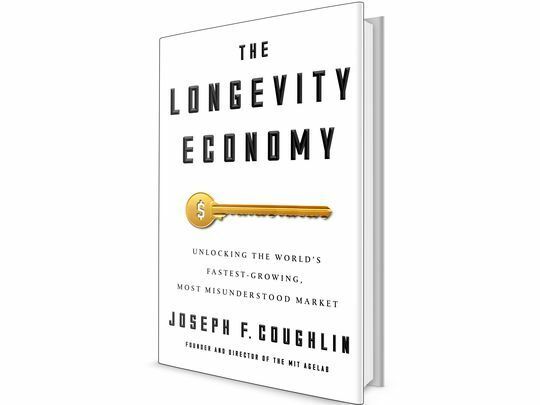 Note: For those who would like to learn more about the Longevity Economy, Joe Coughlin, director of the Massachusetts Institute of Technology (MIT) AgeLab, has just published a book called The Longevity Economy: Unlocking the World’s Fastest-Growing, Most Misunderstood Market. In it he describes how businesses can prepare for an aging world. We have posted an article about the book here. Build partnerships with other jurisdictions. There is value in pulling together mayors of cities within a region to work on transportation issues. Focus on partnership, transparency, coordination and trust. We should strive for alignment (actual and philosophical) across community partnerships. Establish a common vocabulary. For example, even the phrase “complete streets” may not mean the same thing in rural communities as it does in cities. Connotations may vary. Changing the terminology to “safe streets” may overcome this. We need to use words and phrases that convey the common interests and universal goals associated with a more connected community. Harness technology, but don’t get in the way. Autonomous vehicles (AVs) could lead to an explosion in the number of trips on our roadways. The Senate is currently considering an autonomous vehicle bill that will allow car manufacturers to put AVs on the road, with no coordination with local government, police, etc. about pricing and policy. We need to pay attention, and encourage plans that will move people, not cars. Communities also need to create policies that are density-based, to encourage more and cheaper options for trips with multiple riders. Right now, many fees that support roads and infrastructure are tied to gas taxes, but as the technology advances, AVs and EVs (electric vehicles) will need to pay their fair share. Robin Chase, Transportation Entrepreneur and one of the conference’s keynote speakers, provided some really good insight. Focus on equality. The largest barrier to economic equality is access to transportation. On average in the U.S., 18% of household income is spent on cars. For lower-income families, it’s 40%. –Transportation generates 26% of the world’s CO2 emissions. –On average, 30% of a city’s real estate goes to cars. In Houston, it’s 65%. The walk has to be as good as the drive. Another keynote speaker, Jeff Speck, author of Walkable City: How Downtown Can Save America, One Step at a Time, said that more people will choose to walk if the experience is useful, safe, comfortable and interesting. –We will need to reverse a huge amount of planning and zoning to encourage walkable communities. –People drive faster on wider streets. –Buffered bike lanes (i.e., buffered by parked cars) is one example of what it’ll take to get older adults on bikes. –Parked cars on the street help protect people on sidewalks. We were proud to see that one of the conference field trips featured Austin innovators. While exploring the streets and sidewalks right outside the conference hotel, participants digitally documented the experience of walking and bicycling (actually, tricycling) in the area. This activity was run by Heyden Black Walker, MSCRP, an urban planner with Black + Vernooy; John Simmerman, MS, a nationally recognized health promotion professional, urbanist and filmmaker; Katie Deolloz, creator of ATX Walks; W. Preston Tyree, BChE, MBA, author of The State of the Art: Bicycle Education in America and Ani Colt, co-founder (with Tyree) of Trike Neighborhoods. Stress the importance of multigenerational input. The changes that we make for today’s older adults will benefit younger generations, too. AustinUP is proud to welcome Chip Sampson to our Board of Directors. Chip has more than 18 years of experience in the Professional Services and Project Staff Placement industry in Austin and throughout Texas. With a background in both public sector and private industry, he has developed long-term business relationships with a large number of employers in the central Texas marketplace and beyond. Prior to that, he served 11 years in management roles over customer service and sales-focused companies in the music and audio industry. He currently serves as the Internship Committee Chair for the Austin Community College Continuing Education Vendor Advisory Board. Chip is an eternal optimist who has consistently been able to meet or exceed organizational development goals through perseverance, persistence, and a positive attitude. Self described as a teacher and creator, Chip has developed a series of programs titled, “The Employment Puzzle” designed to help job seekers effectively reach their desired employment goals through a systematic approach with networking as a central principle. 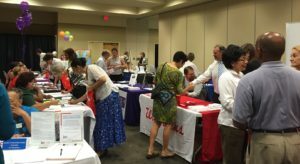 Chip has presented at most of AustinUP’s “55+ in ATX” Job Fairs. We look forward to learning even more from him in his new role as Board member. Welcome, Chip! We are happy to report that Whitney Power has joined the AustinUP Board of Directors, effective August 2017. Whitney works with Seton Innovation and Virtual Care, where she helps connect Austinites to health care they need by deploying new technology solutions and programs. Whitney has managed senior-focused health technology and remote care coordination programs, organized technology trade shows, and spoke at last year’s SXSW EDU conference about the use of affordable education technologies for educators who want to frame lessons as entertaining marketing campaigns. She is a designated Trendwatching.com consumer “Trend Watcher,” presenting on worldwide consumer trends to health executives and continuing education audiences. Whitney was formerly an Aging2.0 Austin organizer, and is an active supporter of health tech startups and companies dedicated to improving the lives of older adults. She also is a Drive a Senior volunteer. Whitney believes innovative products, services and companies can intentionally market their solutions so people from different generations unite and integrate more regularly, resulting in improved lives for older adults, for Austin families and for our community at large. When Whitney is not working or volunteering, she spends time with her (Boomer) parents, (Millennial) sister, husband, two (Gen Z’er) little boys and niece. AustinUP is hosting a series of free job fairs in 2017 to match available job opportunities with workers who are 55 and older. Our final event of the year is coming up on November 9, 10 a.m. – 12 noon, at Atria at the Arboretum, 9306 Great Hills Trail, Austin, TX 78759. Exhibitors will include employers looking for talented full- and part-time workers or contractors. Attendees will include older adults eager to talk to potential employers, as well as knowledgeable speakers who will give presentations during the event. Attendees and exhibitors, see links below. AustinUP is honored and excited to announce that Marilyn Poole, an attorney with The Fowler Law Firm, has joined our Board of Directors. Marilyn’s background and expertise can only make what we do here at AustinUP better and more meaningful to our community. Welcome, Marilyn! 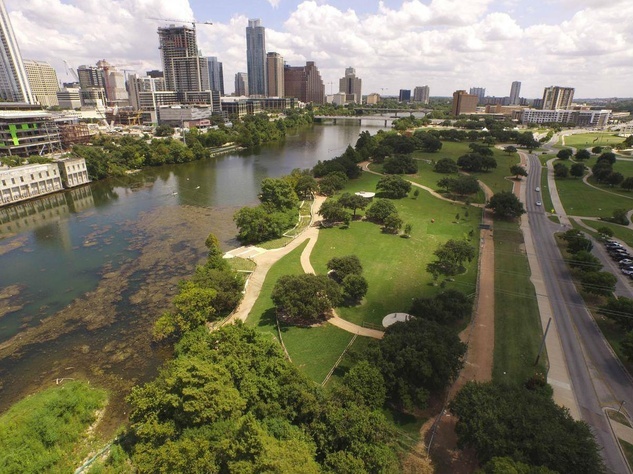 The Milken Institute released its “Best Cities for Successful Aging” report this week, with major nods to Austin and AustinUP. Take a look at page 18 of the report to see Austin listed #6 in the Top 20 Large Metros. Then scroll down to page 47 to see AustinUP included in a list of “Programs with Purpose.” We are proud to be included in this report and very proud of our work to make Austin one of the best cities for successful aging. Full press release below. 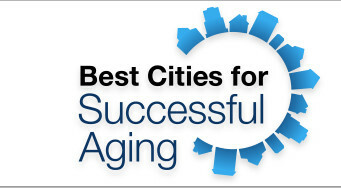 LOS ANGELES, 3.14.17—This week, the Milken Institute released the third edition of its “Best Cities for Successful Aging” report and index, a collaboration between the Institute’s Center for the Future of Aging and its Research Department. The report evaluates 381 U.S. metropolitan areas to determine how well they serve the needs of the nation’s growing population of mature adults, enabling them to age productively, securely, and in optimal health. John Egan, writing for Culturemap.com (Austin), reports on new demographic data showing the continued uptick in older adults moving to Austin. His article, Austin’s Population Just Keeps Getting Older Shows New Data, also mentions our Age-friendly Austin Plan, which was adopted by City Council in November 2016. Ever so slightly, Austin is aging. From 2014 to 2015, the median age of people living in the Austin metro area went from 33.9 to 34.3, according to new data from the U.S. Census Bureau. This continues a gradual year-to-year maturing of the region’s population. “Our growth has long been fueled by big incoming waves of millennials, but more recently our immigration stream is increasingly made up of baby boomers and seniors, which will pull our median age upwards for sure,” says Ryan Robinson, demographer for the City of Austin. AustinUP is truly fortunate to have such an outstanding Board of Directors. Today, we are happy to announce some new roles and new faces. Dr. Mark Carlson (Geriatrician and Founder/Director of Be Well MD) now serves as Chair. Cyndi Cummings (owner, Cummings Realty Associates and community advocate for older adults) is our new Vice Chair. Margo Weisz (Partner, City Lights Group and Project Director of the 2012-13 Mayor’s Task Force on Aging) is our Secretary/Treasurer. Angela Atwood, our former Chair, continues to serve on the Board.